The foot of the mastadon was built right into the glacier prop. 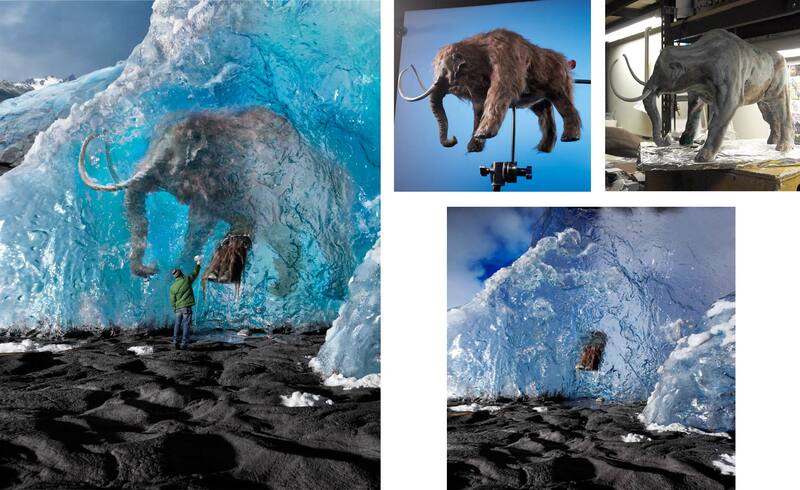 the mastadon was shot separately, through rippled glass, so the amount of distortion created by the glacier could be controlled. The background scene I shot in Alaska.